There will be upcoming maintenance on Emerald’s research platform, Emerald Insight, which is scheduled to take place on Tuesday 5 February 2019 beginning at 08:00 GMT - lasting for up to 12 hours. Should you access the website during this time, you will receive a notification that the site functionality is temporary unavailable within your browser. Please note that this may also affect some functionality on emeraldpublishing.com. This essential website maintenance is part of Emerald’s customer focused development initiative, which aims to deliver an enhanced user experience to our customers. 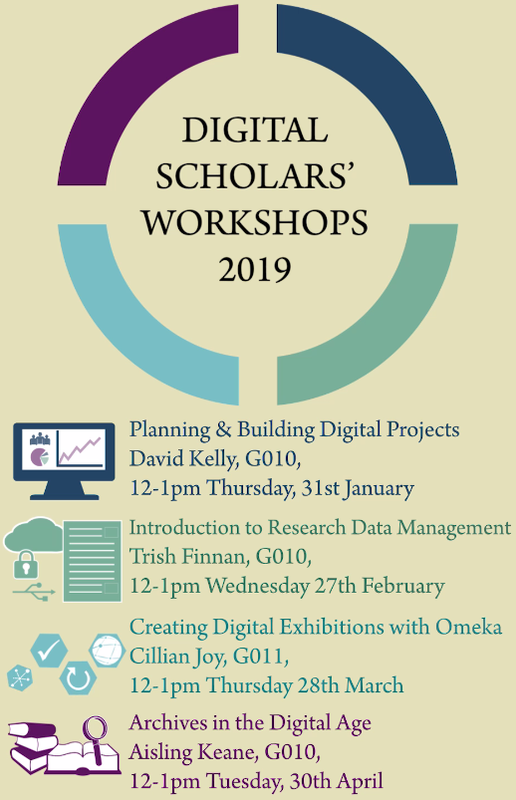 Planning & Building Digital Projects – David Kelly, G010, 12-1pm Thursday, 31st January. While contract negotiations with Elsevier continue with the Irish universities, our access to Scopus has been restored until January 31st. If you find you are still having problem accessing content on Scopus, you will probably need to clear out your browser's cache and cookies.